This RUN comes signed by Lyric One and includes a Letter of Provenance from 1xRUN. "The custom cans are all recycled from German Gold Montana cans. They are all custom painted with Montana spray paint, Airbrush and acrylics. Lyric One (Joey Novotny) is a born and raised Coachella valley graffiti artist living life in the Inland Empire these days. At an early age, fat cap tags and graffiti pieces along the freeways in downtown caught the attention of Lyric One. He's always been drawn to aged and weathered boxcars sitting track side in the train yards and old rusty signs hanging on abandoned buildings . 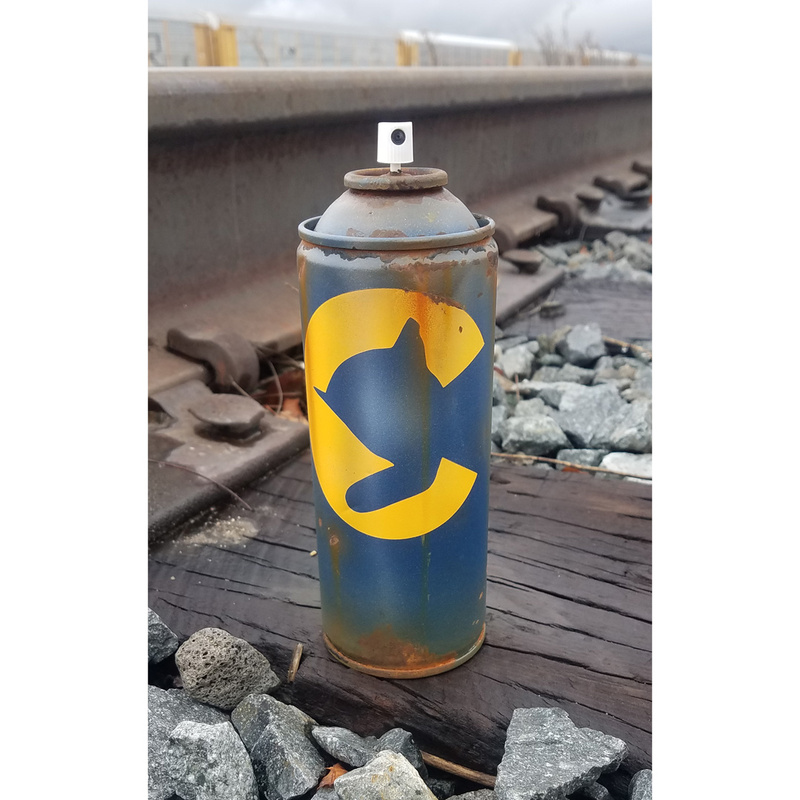 Over the past 10 years, Lyric One has gained notoriety for his unbelievable weathering skills on model train's, canvases and custom painted recycled spray cans. Lyric One gets most of his inspiration and ideas from the streets. It's no uncommon to see a phone full of random photos of rusty old rails and objects. He stock piles them for the one off projects that keeps the portfolio growing.